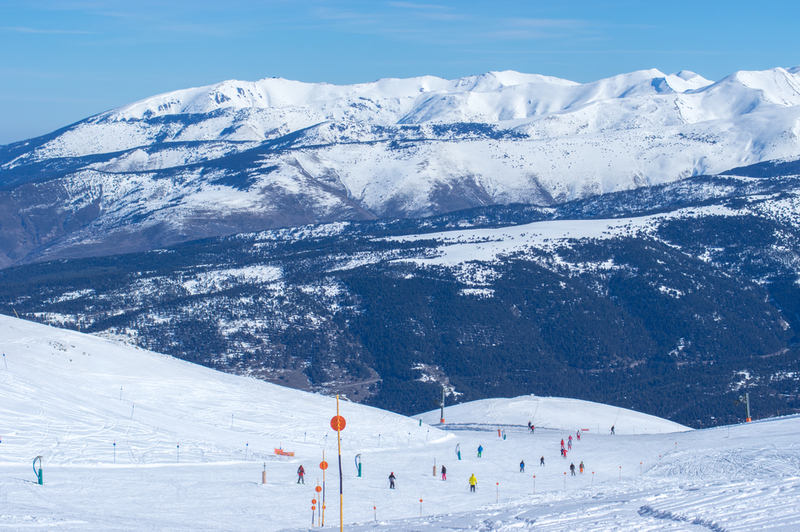 Although Spain is not known as a ski destination, it actually abounds with the mind-blowing spots where you will get both an amazing skiing experience and breath-taking views & natural attractions. There were several factors we were taking into account when deciding on which ski resort in Spain to select: first of all, the geographic position, as we were planning a weekend trip, which would mean coming back to Barcelona by the end of Sunday. However, the final choice was made due to the advice provided by a friend of mine & a mixture of amazing things to do concentrated in this small spot – Cerdanya, a territory located in the Pyrenees, on the boarder of France. When it came to the decision of where to stay in Cerdanya, we picked up Puigcerda, and now you will learn why! When to go & what to wear: the best time to go is probably in January and February. When we came there (in the end of February), the temperature was around 0 - +3 C, and the place was not very crowded. 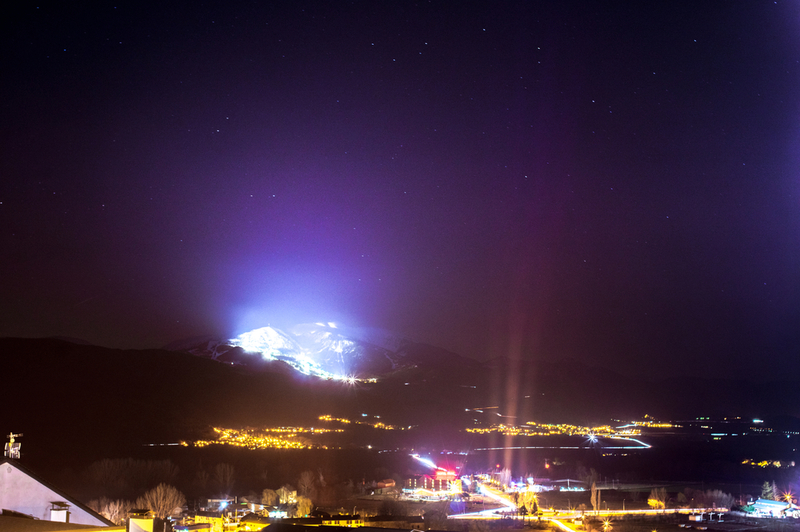 In fact, there are numerous small towns and villages scattered around Cerdanya, and lots of hotels right in La Molina and La Masella. However, we chose Pauigcerda because of the endlessly beautiful and romantic luxurious hotel located there - Villa Paulita. It is situated in front of a beautiful lake and is well known as a perfect weekend destination for couples in Spain. It is a cozy mansion with friendly staff and rooms each of those has the direct access to the garden. The hotel has its own SPA center with a pool, Jacuzzi, hammam & sauna, and various treatments. Going there after a long skiing day feels like heaven, trust me. Finally, there is a restaurant located within the villa’s territory where you will be served with truly delicious dishes from the local cuisine. There are two ski resorts that are connected and located close to each other, representing 199 ski tracks (141 km) in total. There are 22 green, 41 blue, 40 red and 16 black ski tracks. I would suggest buying the entrance to both of them, as it costs just a couple of euros more. What happened to us is that we started in La Molina, but somehow ended up at the bottom of Masella and had to pay 7 euros each to get up back, so better have both. Moreover, It is much more fun to explore all of them, and in my opinion, la Masella was more diverse and better for the intermediate skiers. You can rent all the equipment at numerous points across the resort, and park your car for free not far from the entrance. In addition, there is a couple of really nice restaurants where you can refresh yourself with a French onion soup or a steak. The one we went to was called El Bosc, and the service & food left us really satisfied. Get the most of the views – fly in a hot air balloon! The last, but not least activity that I suggest you trying in Cerdanya is to fly in a hot air balloon - an experience you will never forget. This is especially amazing for couples wishing to have this special romantic moment and to create memories. The whole experience is really safe and calm, there was absolutely nothing stressful during the entire journey (to be honest, for me it was even too peaceful). However, the views are gorgeous, as you can see the snow-covered mountain peaks and the valley with numerous villages and farms scattered around. By the way, after the one-hour flight, you will be offered a glass of champaign with cookies & will have a chance to pet two doggies that belong to the flying center's owners. Feels like a perfect beginning of the day, does not it?